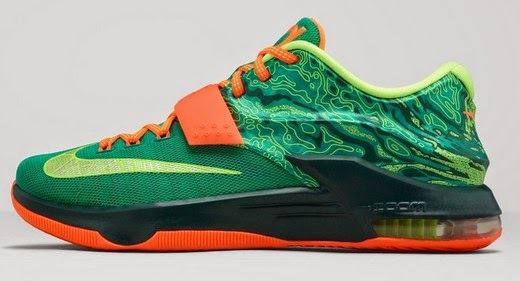 KD7 Weatherman Release Date in Philippines, Price and Other Details Here! The KD7 Weatherman shoe pulls an inspiration from Kevin Durant's fascination with meteorology. It is written all over the details of the Nike KD7 "Weatherman". This new colorway of Durant’s seventh signature shoe features a green upper in homage to newsroom green screens used by meteorologists. Doppler radar-inspired graphics wrap the shoe’s Hyperposite heel, Swoosh and outsole. Bea de Leon's Friend Wins Rookie of The Year!